It was a sight to behold. Egyptian judges hailed from all over the country on Friday for a silent stand in their stately club, continuing their struggle for a new law that ensures judicial independence. Swathed in their plush red and green sashes, they stood silently for a little less than an hour as cameras clicked and whirred all around them and a lovely spring sunshine illuminated the proceedings. Supportive pro-democracy demonstrators momentarily suspended their chants and slogans out of respect for the judges’ wish for a silent stand. For a spell on Friday afternoon, the otherwise hectic Champollion St. was blanketed by an eerie, momentous silence, punctuated only by the gently rustling leaves on the trees bearing witness. 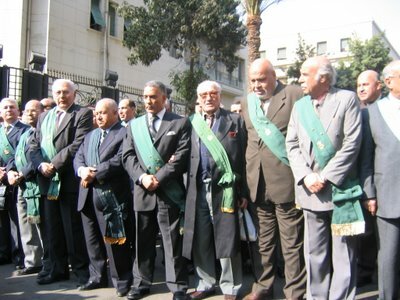 Once again, the dignity and persistence of Egypt’s judges fills me with awe. 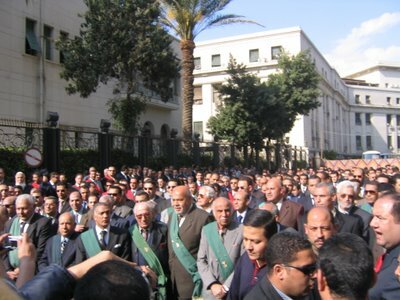 The large turnout was in part driven by the collective outrage at the questioning of very prominent and popular pro-reform judges such as Assem Abdel Gabar, Nagi Dirbala, and Yahya Galal (top middle three, left to right) by the Supreme Judicial Council. At the emergency general assembly meeting following the silent vigil, the Club honoured them and the other targeted judges. The hugely popular Dirbala in particular received wildly enthusiastic applause, his story made more dramatic by the fact that his son has been barred from appointment to the parquet (niyaba), almost surely in retaliation for the positions of the father. 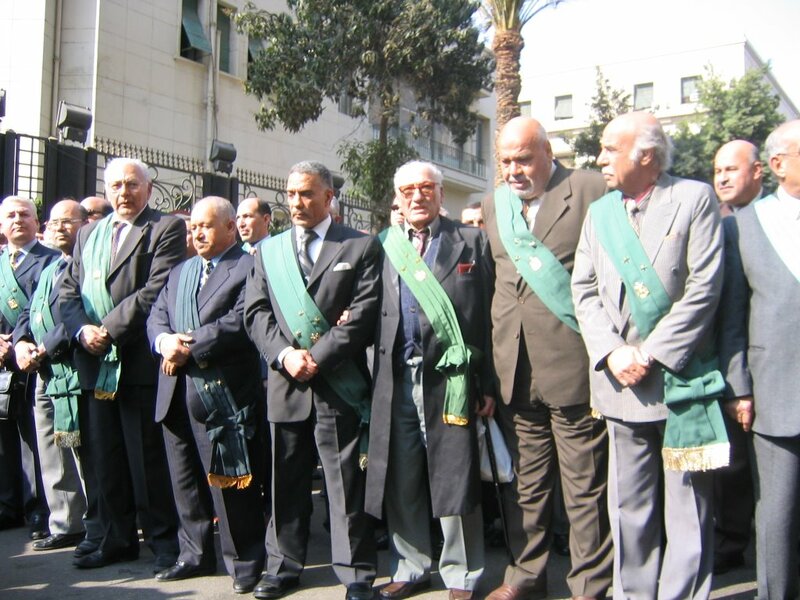 Before the silent vigil, Kifaya, al-Ghad, Freedom Now, and allied groups marched in support of the judges, led by the two indefatigable and inimitable Kamals (Khalil and Abu Eita). 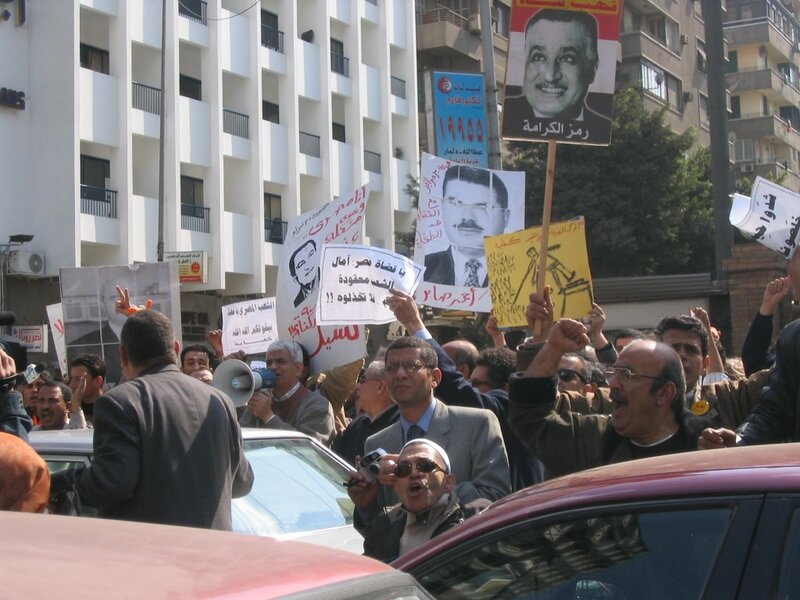 In what I think is a first in Egyptian history, protestors held aloft huge posters of prominent pro-reform judges such as Zakariyya Abdel Aziz, Mahmoud al-Khodeiry, Hisham al-Bastawisi, Ahmad Saber, and Hossam al-Ghiryani. 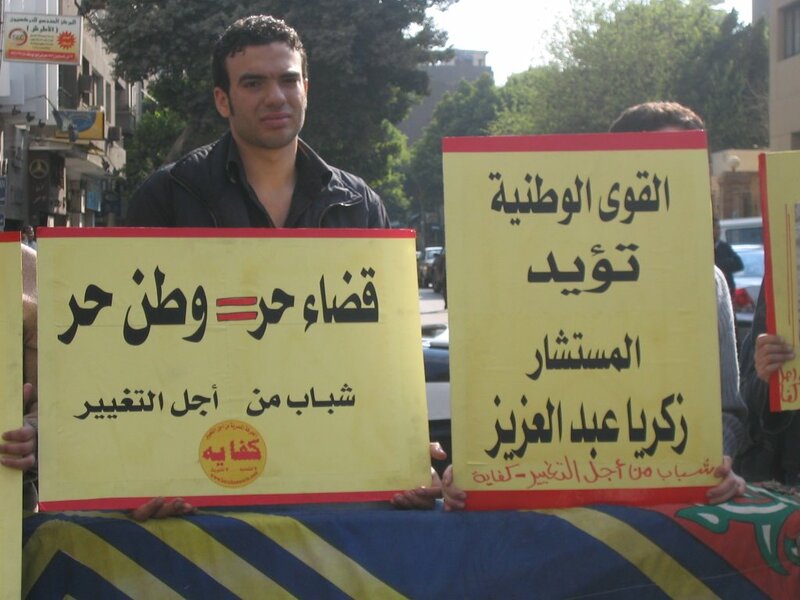 The posters were designed by the energetic young people who organised the thursday evening Tahrir Square sit-in to support judges and journalists. Demonstrators stopped in front of the Judges Club and a curious and inexplicably moving scene unfolded. 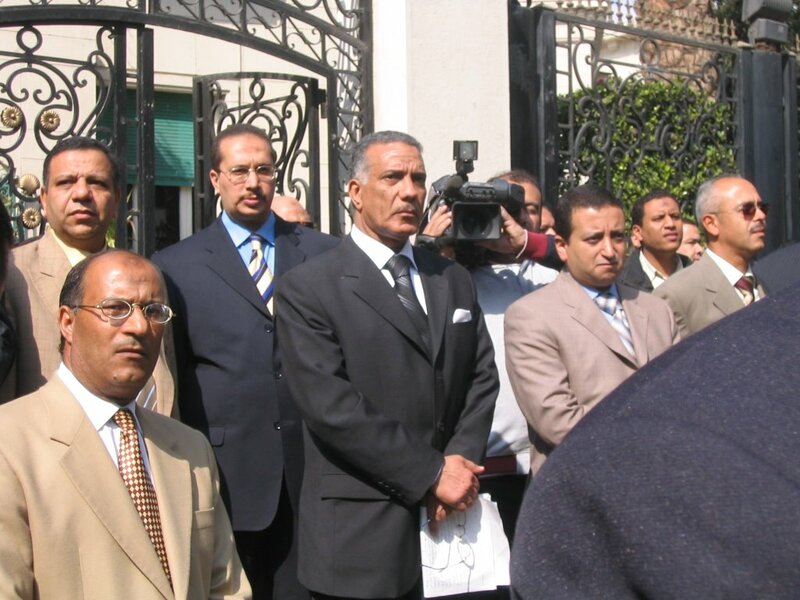 Demonstrators chanted the name of Club president Zakariyya Abdel Aziz (top), who stood silently on the Club steps flanked by his colleagues, in quiet acknowledgement of the protestors' heartfelt salute. 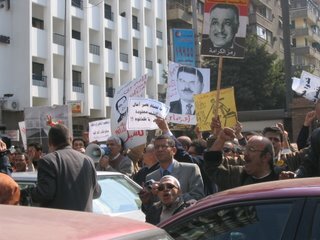 A fiery young protestor with a formidable voice addressed Abdel Aziz directly and almost angrily: "Stand firm! The pressures on you are immense, stand firm!" 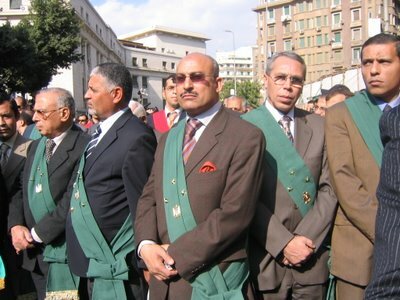 When the relatively unknown Abdel Aziz was first elected Club president back in 2001, no one could have guessed that five years on, his would become nearly a household name. 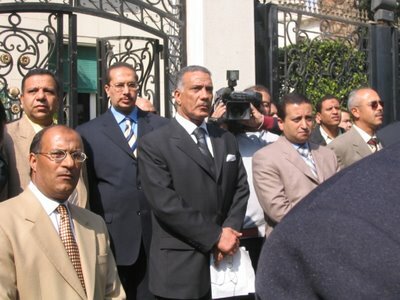 Certainly no one could have imagined that he and his intrepid colleagues would morph into the most potent symbols of Egyptians' desire for political change, repositories of hope, inspiration, and not a little pride. An ordinary citizen who came to observe the judges' stand said, "I'm here because I want change in this state." It's a lot to ask of judges working under conditions of considerable duress, but the majority of men on the Egyptian bench show no signs of shirking. As judges ended their vigil and made their way to the general assembly deliberations, our honourable judge Hossam al-Ghiryani flashed the victory sign, to the applause and delight of the demonstrators and passersby who lingered to watch. 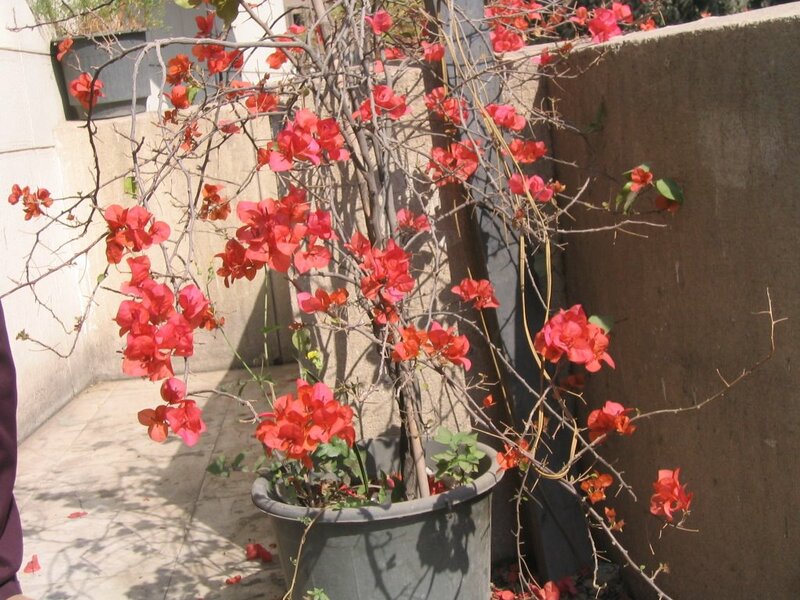 March has always been a fertile time in Egyptian annals. 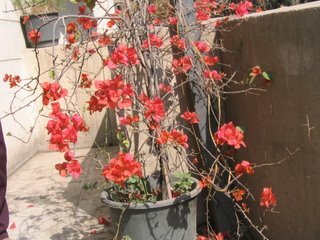 As with 2005, this year's spring promises new and unexpected developments. At the conclusion of their assembly, judges resolved to stand again on May 25, but this time inside the High Court building, as they had planned for this friday before "the authorities" closed off the court complex. "No rights without sacrifice!" bellowed a judge at the general assembly. And so the saga continues.